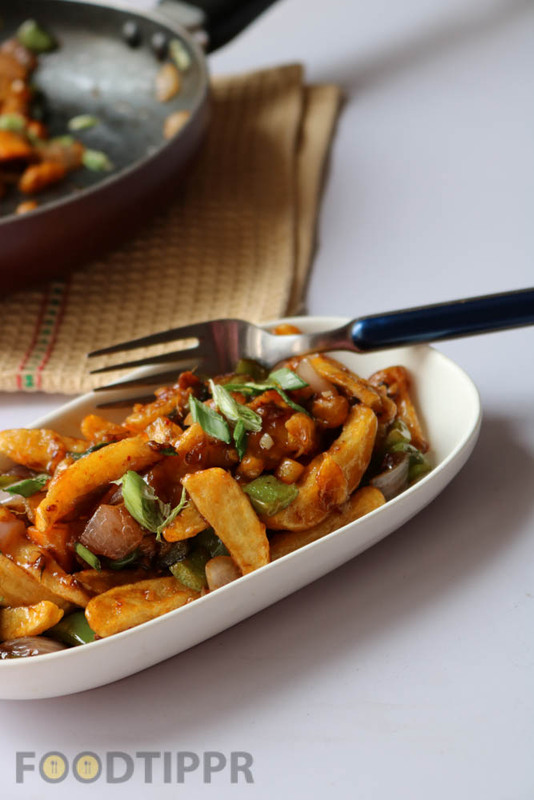 Check out the recipe of delicious Chilli Potatoes. I am sure you are going to love it. 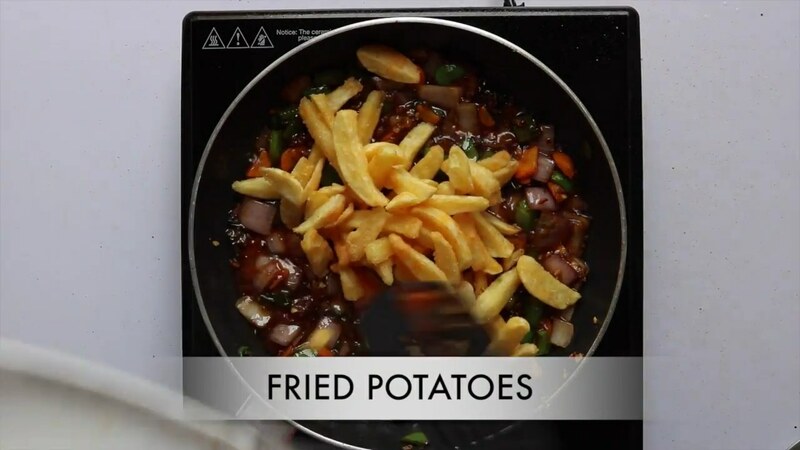 It’s amazing to see how many different tastes one can get from Potatoes. 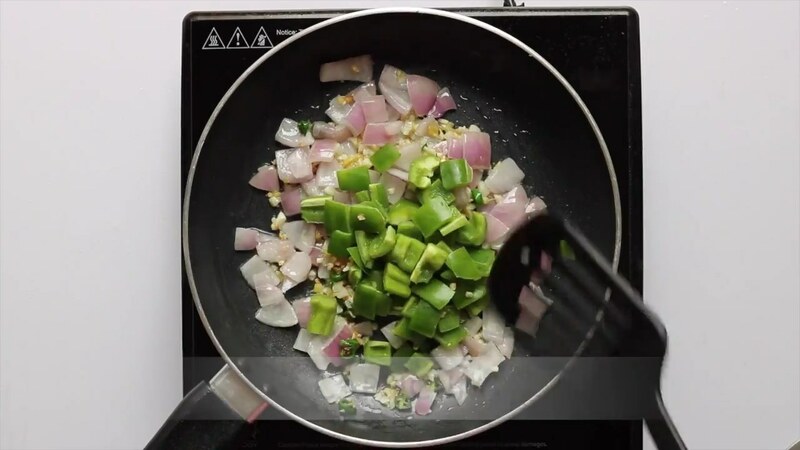 At Foodtippr, it’s literally used in almost every recipe, all are different in taste. 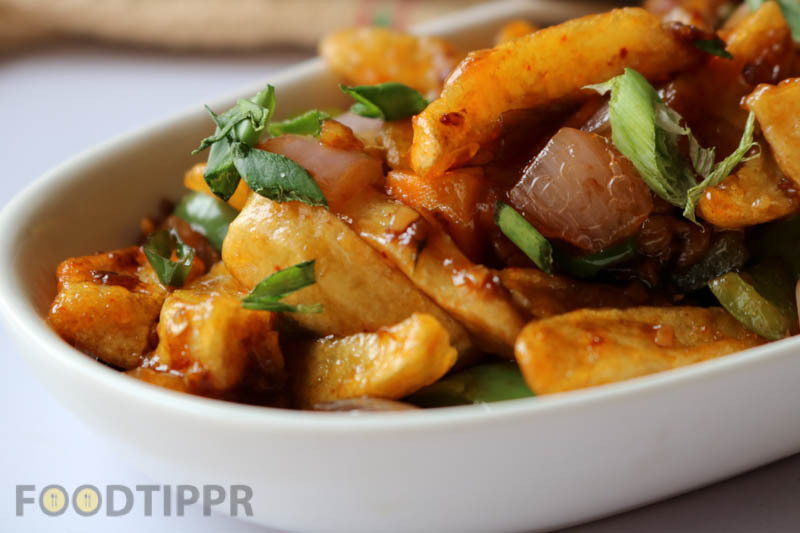 Chilli Potato is the spicy snack that you lift your mood and make you happy, We prepare every once in a while, usually one the weekends and enjoy it with the family. 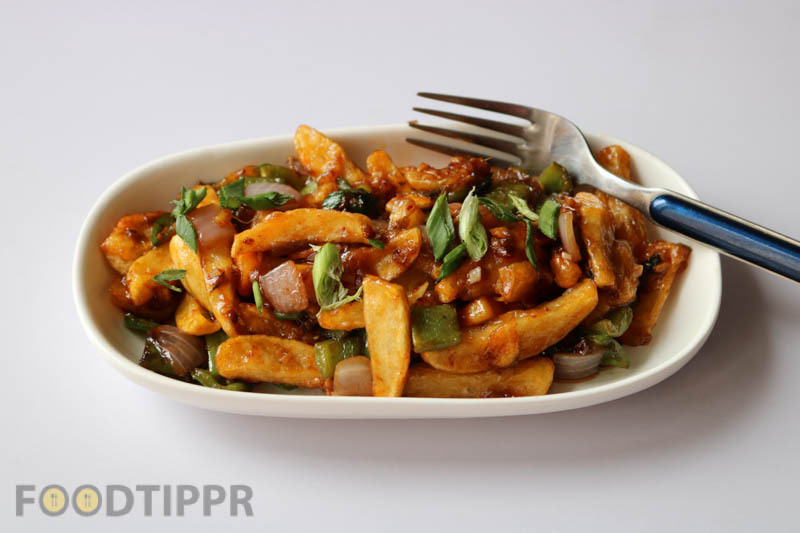 Follow the steps mentioned below and prepare this amazingly delicious chilli potato recipe. Watch the preparation video below. 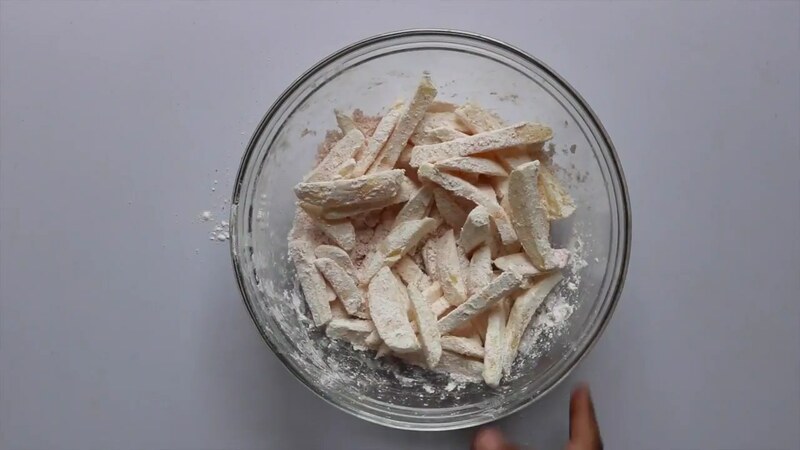 In a mixing bowl, add sliced potato, 2 tbsp corn flour, red chili powder, and salt. 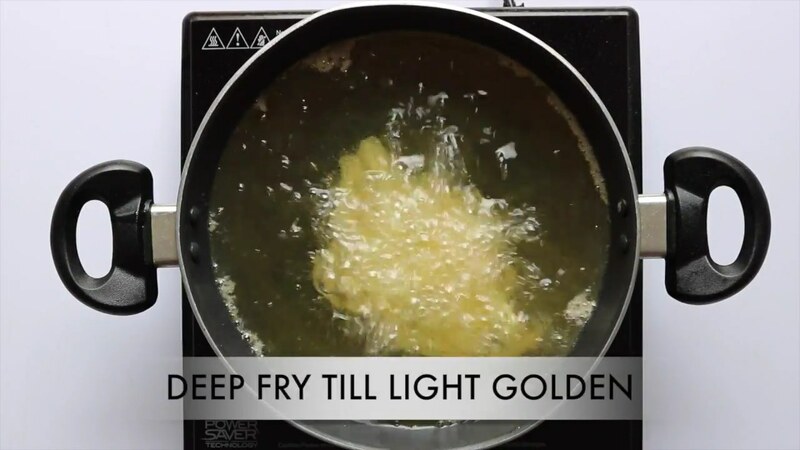 Heat oil in a wok and deep fry the potatoes on a medium flame till it is crisp and light golden in the color. 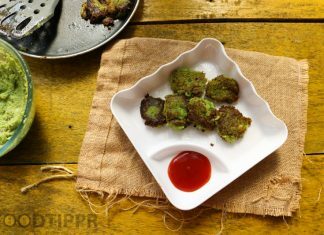 Fry in two batches. 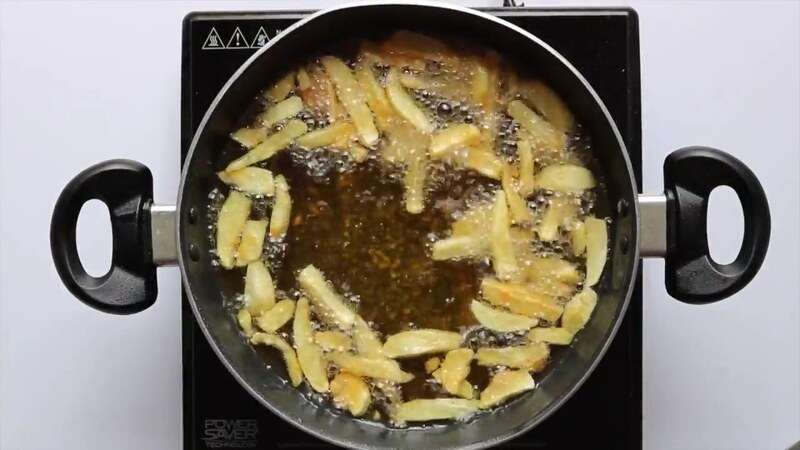 Take out the fried potatoes on a tissue paper to get rid of an extra oil. 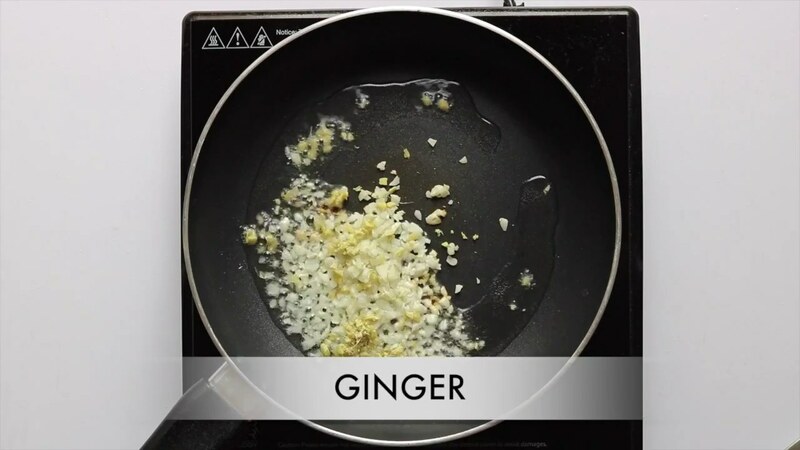 Heat oil in a pan and saute with ginger and garlic. Fry for few seconds. Add chopped green chili and onion. Fry for another few minutes. 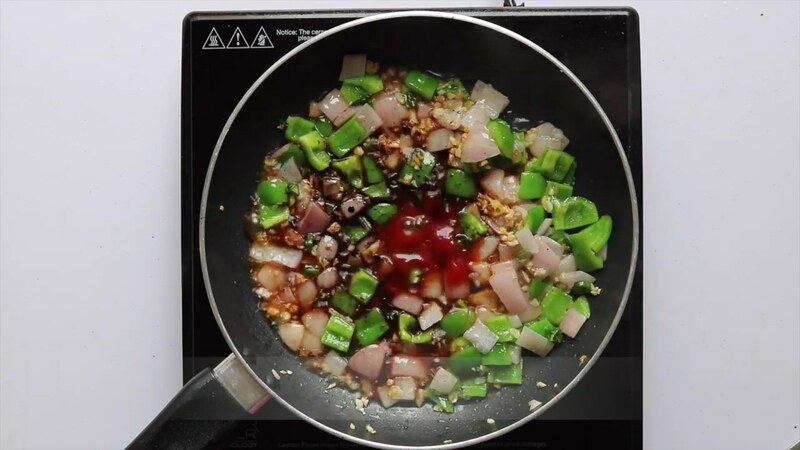 Add capsicum and cook for 1-2 minutes. 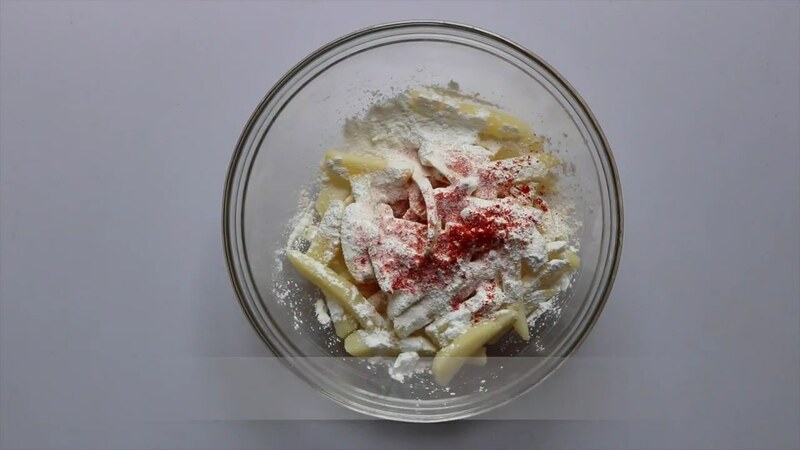 Add soya sauce, tomato sauce, salt, and water. Mix it well. 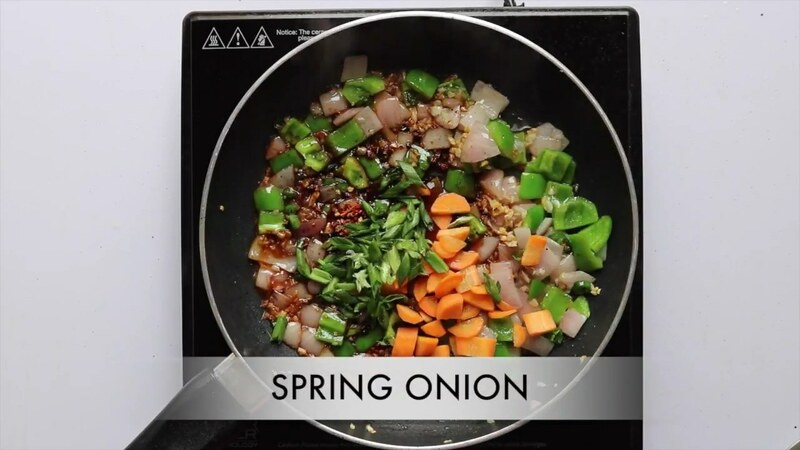 Add red chili flakes, spring onion, and carrot. 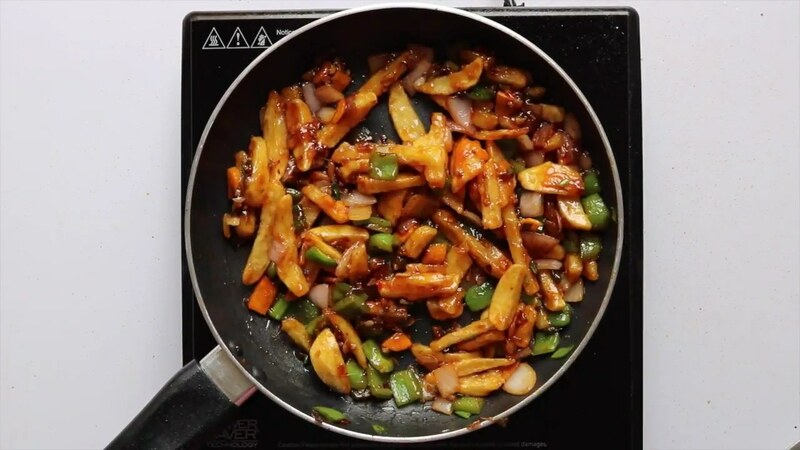 Fry for few more seconds. 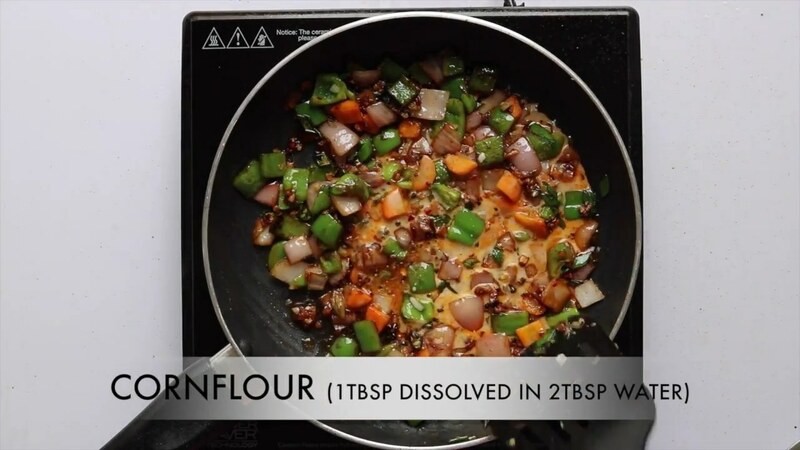 (Dissolve 1 tbsp corn flour in 2 tbsp water) Add it to the pan. Mix it well. 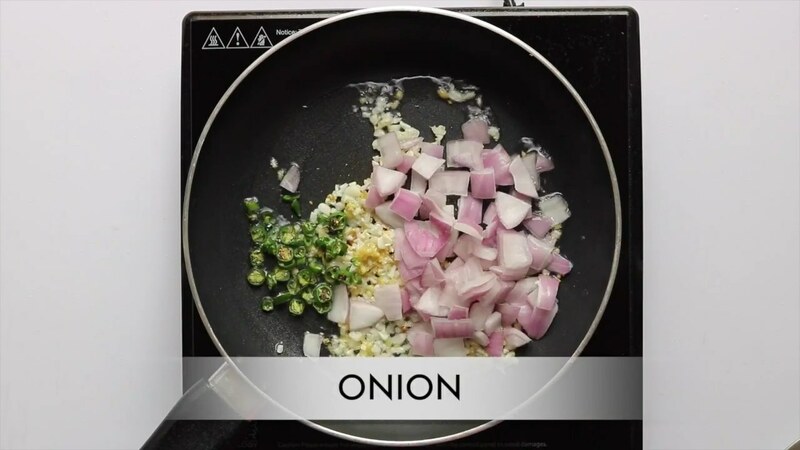 Cook for 1 minutes with keeps mixing with a spatula. Delicious Chili potato is ready to serve. Serve hot.